Your gift has the power to make a difference in someone’s life. And it’s our goal to maximize that impact in the lives of our students. With that strategy in mind, there are four main areas for you to support. If you want your gift to have an immediate impact on campus needs, make a gift to the Saint Mary's Fund. When you make an annual Saint Mary's Fund gift, you support students, faculty, and the beautiful campus you know and love. The College is currently engaged in various projects many of which were made possible by the generosity of our donors during our Faith Always, Action Now campaign (2008-2014). This $105 million campaign launched initiatives such as the expansion and renovation of the Science Hall and the new Angela Athletic & Wellness Complex. The College recently completed the Kris Anderson Trustey ’86 Challenge, an initiative that secured more than 40 acres of land surrounding Saint Mary’s current campus. 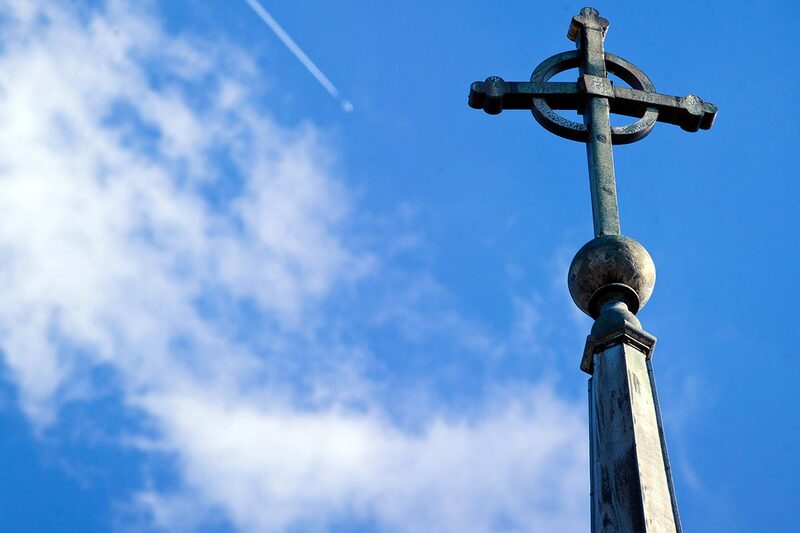 Inspired by the College’s relationship with the Sisters of the Holy Cross and its interest in relevant growth opportunities, alumna Kris Anderson Trustey ’86 initiated a matching opportunity to complete funding for this key land purchase. Within one year, the Challenge raised the required $2.55 million needed for full funding. For more information about the College's key projects, visit the Project Updates page. Strong college, strong endowment. They go hand in hand. At Saint Mary’s, the $181 million endowment solidifies the longevity of our institution. You support the future of Saint Mary’s every time you make an endowed gift. Annually replenishing funds mean continually renewing scholarships. Continually excellent faculty. A continually excellent education. We’re proud that many of our alumnae and friends choose to entrust their legacy to us. And it’s our privilege to use those gifts to support the Saint Mary’s experience for future generations of students. Whether it’s a bequest or charitable gift annuity, planned gifts allow you to make a difference at the College. Did you know any gift to Saint Mary’s can be made in honor of someone? Visit our Memorial and Tributes page for more information.